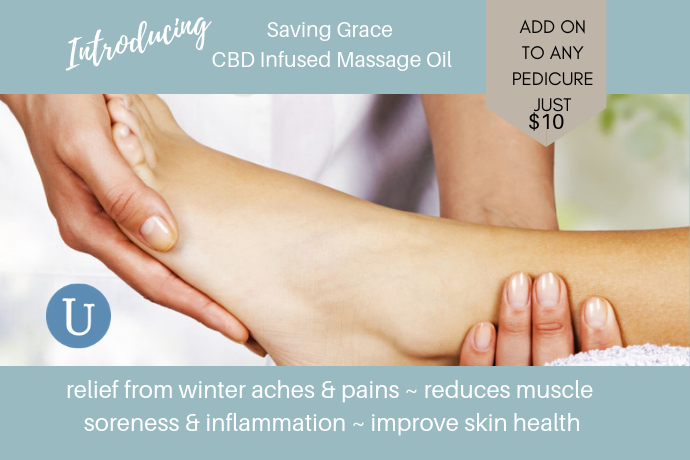 Introducing Saving Grace CBD Infused Massage Oil. Available to add-on to any of our pedicures for an additional $10. Get relief from sore achey winter feet & ankles, reduce muscle inflammation and soreness, and improve your skin’s health. 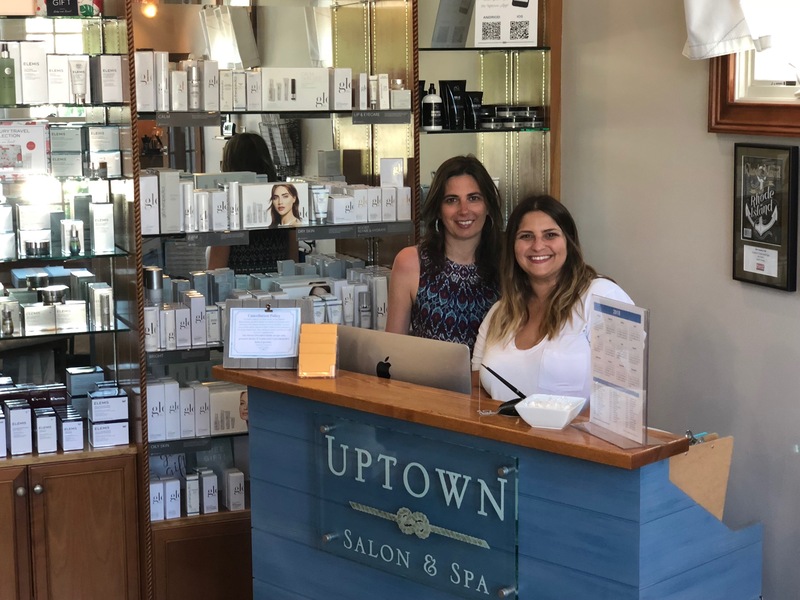 Uptown’s Classic Misquamicut (30 min – $45+) This “upkeep pedicure” is a complete and meticulous pedicure for a busy lifestyle and keeps toes in shape between longer services. The Weekapaug Exchange (50 min – $55+) This unique pedicure is truly customized with your specific needs in mind. A consultation will determine the appropriate soak, scrub and treatment. Your choice of scrub will include exotic frangipani, nourishing Moroccan Oil, or cleansing OPI, followed by a choice of a callous eliminator, nourishing paraffin, or Morrocan Hydrating Treatment. Let the sensory journey begin. Uptown Seaside Signature Pedicure (60 min – $65+) Our signature pedicure is an exhilarating utopia to stimulate your mind, body and soul. This pedicure has a two part treatment that will hydrate and seal in moisture even to the driest feet. Includes a warm lavender neck wrap to soothe your mind, scrub, and finally a muscle relaxing hot stone massage, finishing cream and your choice of polish. All pedicures include a foot soak, nail shaping, gentle cuticle grooming, foot buff & massage. Finished with polish of your choice. Get the App. It's Easy. Welcome to Savings at Uptown! 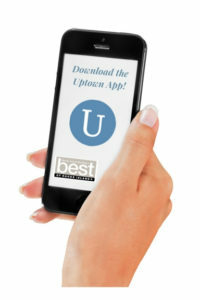 Reserve this special offer today by calling a Guest Services Expert at 401-596-9100 or use the Uptown App.